Before we delve into what a secured loan is, I think it would be prudent to mention that loans have become an integral part of our lives irrespective of how stable we are financially. Struggling individuals apply for loans to meet various financial needs and the same can be said of the affluent members of the society who also go for loans for the purposes of expanding a business, opening a new branch or simply to seal a business deal that can’t wait till required funds are available. With that said, secured loans have been in existence from time immemorial. So what is a secured loan? A secured loan, simply put, refers to a loan instrument where an individual is required to pledge security before they can be approved for a loan. Secured loans are mostly available for individuals who own property that they can pledge as security which in the unlikely event of default, the lender can sell off the said property and recoup their money. The secured bit works in favour of the lender and not the borrower. It simply means that in the event the borrower fails to repay the loan as agreed, the lender has security in the knowledge that they can always sell off the pledged asset and get back the money they initially gave out as a loan together with interest accrued. What are the merits of a person applying for a secured loan? As you probably know by now, secured loans have a long repayment period as compared to unsecured or short term loans. 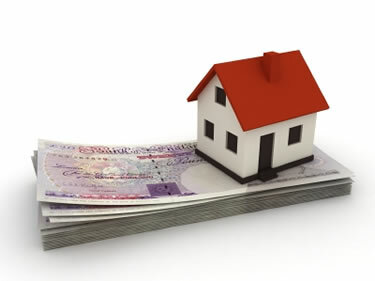 An individual who applies for a secured loan can repay it from a minimum period of 1 year up to 5 years. It therefore, in essence, gives a person flexibility to plan their repayment schedule without feeling as if they are boxed into a corner. Given the fact that borrowers provide security and therefore mitigate the risk on the part of the lender, big borrowing is without a doubt possible. Compared to unsecured loans, secured loans give individuals the opportunity to borrow huge amounts of money for the purposes of investment provided that the security provided can cover the principal amount of the loan together with the accrued interest. Ever tried to apply for a loan without security? Well, if you have, you know how difficult it can be to obtain a loan without offering collateral. It is even more difficult when you lack an asset to pledge as security yet your credit score is in the doldrums. The same cannot be said of secured loans. Secured loans are easy to obtain because lenders get security that they can fall back on should everything goes south as regards the loan repayment. If you wish to apply for a secured loan, it is important that you understand everything concerning these loans before you dive into it. The first and most important thing is to check with your existing mortgage lender. What are their rates? What is the period of repayment? While the rates your existing lender offers might not be the best in the market, it gives you the benchmark for comparing against other lenders. Secondly, make use of comparison sites to get a sneak peek on the interest rates offered by different lenders. This gives you an overview of what’s cheap, what’s suitable and which lender to consider when applying for a secured long term loan. Thirdly, you can ask for recommendations from friends that have in the past taken a secured loan. It will give you a clear idea of the overall cost of the loan, the professionalism of the lender, and the flexibility of the repayments and so on and so forth. To sum up, while secured loans are a great way to get financing for huge projects, emphasis should be on repaying the loan as early as possible. It reduces stress on your part, gives you the opportunity to focus on other things and inadvertently goes a long way in positively influencing your credit score.